Alberto Di Fabio was born in Avezzano in 1966, and studied at the Academia delle Belle Arti, Rome. Di Fabio's paintings and works on paper merge the worlds of art and science, depicting natural forms and biological structures in vivid colour and imaginative detail. Throughout his abstract images, the artist has developed and expanded his interest in the natural world, with early works dealing with the structures of flora and fauna, as well as eco and astral systems. 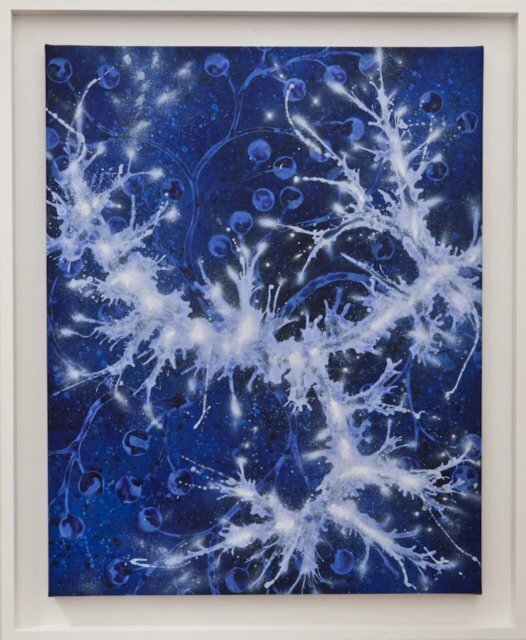 Di Fabio's more recent paintings have focused on genetics and DNA, the synaptic receptors of the brain, moving his work into the realm of pharmaceutical and medical research.